Torn between two lovers? 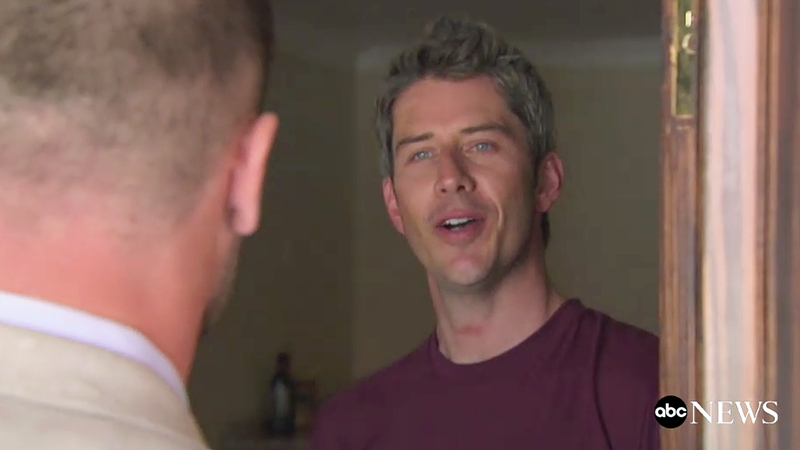 Bachelor contestant Becca Kufrin’s ex-boyfriend surprised her and Arie Luyendyk Jr. by showing up in Peru and attempting to win her back before it’s too late on the Monday, February 26, episode of the ABC dating show. The pair sit down for a brief, but awkward, conversation about Ross’ intentions with Kufrin, who is one of Luyendyk Jr.’s final three women. Ross leaves Luyendyk Jr.’s room and knocks on the door of the room where Kufrin is staying. She looks extremely surprised to see him, but the clip does not show her full reaction. While fans will have to wait and see how Kufrin reacts to her ex-boyfriend’s arrival, Us Weekly previously reported that her fantasy suite date with Luyendyk Jr. involved another women: former contestant Caroline Lunny. The latter told Us at the taping for the Women Tell All special that the Bachelor lead played a mixtape she made for him during his overnight date with Kufrin.